The Ladies Window is a rock formation on the west coast of Cornwall between Tintagel and Boscastle. I walked up the path from Rocky Valley to join the South West Coast National Trail, and headed north along the coast to reach the Ladies Window. 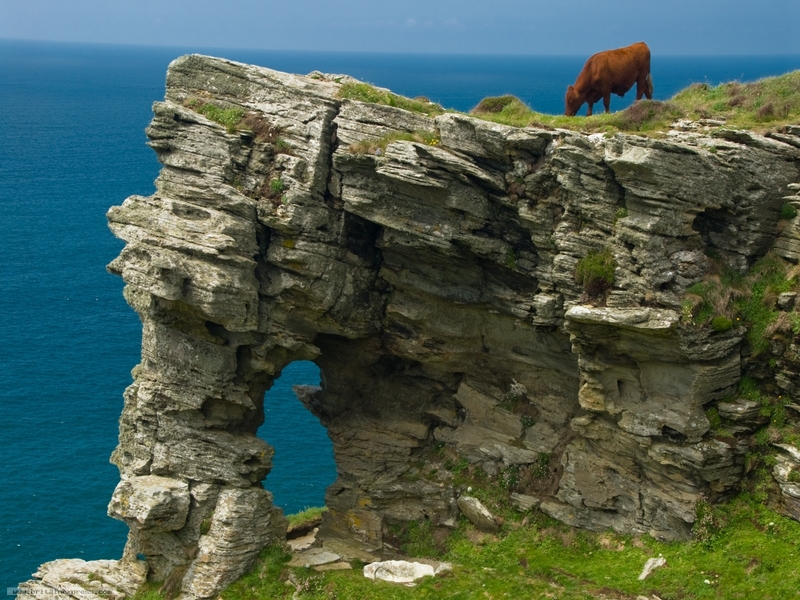 I photographed the rock formation for quite some time, but it was only when I was leaving that I saw this humourous photo of a local cow wandering onto the top of the Ladies Window.